There’s more to a successful outdoor lighting scheme than picking out fixtures that are bright enough or simply fit within a budget. You have to comprehensively assess your space and identify its unique needs. Eliminating dark spots in areas and providing even illumination comes down to proper planning and a clear understanding of what type of surface you’re trying to light and how light will be distributed throughout a zone. When you’re figuring out what light fixtures you need for an application, you need to factor in the light distribution patterns they’ll create. Whatever situation you are dealing with, understanding an LED light’s distribution pattern or light distribution patterns for other types of lights will ensure you provide the best lighting for the area you are working with. Understanding and using the right lighting distribution types will help ensure an attractive, safe lighting environment. Light distribution is based on the horizontal pattern it casts and the amount of light that reaches certain vertical angles. The Illuminating Engineering Society of North America has whittled light distribution down to five categories that range from Type I to Type V. Understanding these IESNA outdoor lighting distribution types will help you decide what’s best for your situation. Type I light distribution provides a wide, symmetrical light for fixtures located in the middle of a walkway. The width of the pattern it creates is about equal to the fixture’s height. 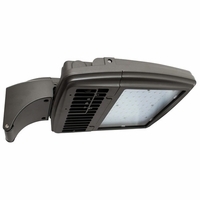 Type II fixtures have a slightly wider distribution and are intended for installations where the fixture is placed at the edge of a wide path, alley, or roadway. 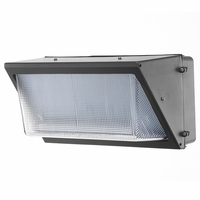 These fixtures light an area up to 1.5 times wider than the mounting height of the fixture. For example, if the fixture is 10 feet high, it will cast light up to 15 feet wide on the area below. 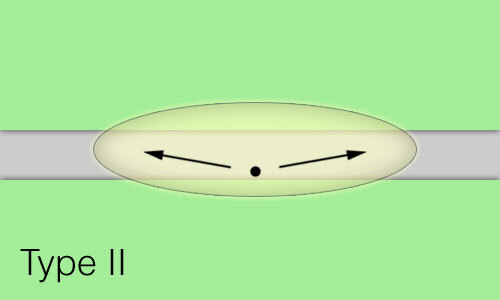 Type III light distribution casts light about 2.75 times wider than the mounting height of the fixture. Fixtures should be placed along the side of the area to be lit, allowing the light to project outward. 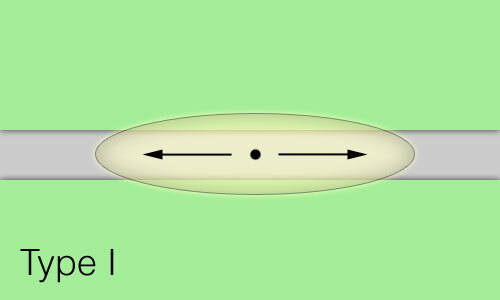 A fixture with Type III distribution mounted to a 10-foot pole will cast light about 27.5 feet in width from the light source. Type IV light distribution fixtures are known as forward throw or asymmetric fixtures. Like Type III fixtures, these light fixtures will cast light 2.75 times wider than their height. But they will produce a more rounded distribution pattern that pushes the light outward, with little light falling behind the fixture. Fixture types for light throw are varied. For optimal forward throw light distribution, they’re best mounted on walls or used to illuminate specific areas. Large spaces usually require Type V light fixtures. These fixtures distribute light evenly around all sides of the fixture, usually in a square or circular pattern. Unless you want to risk lighting the wrong areas, it’s a good idea to carefully consider the light distribution pattern you need for your application. And if you’re not sure which to use, contact us anytime; we’re here to help. What are the different types of area light distribution patterns? Type I Light Distribution: Type I light distribution provides a wide, symmetrical light for fixtures located in the middle of a walkway. Type II Light Distribution: Type II fixtures have a slightly wider distribution and are intended for installations where the fixture is placed at the edge of the roadway. 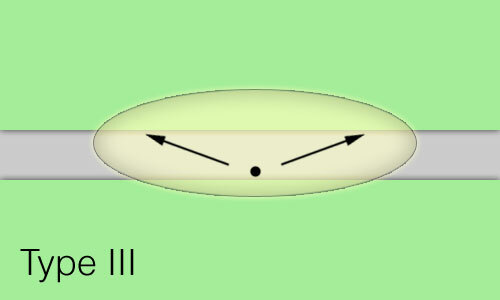 Type III Light Distribution: Type III light distribution casts light about 2.75 times wider than the mounting height of the fixture. Type IV Light Distribution: Type IV light distribution fixtures are known as forward throw or asymmetric fixtures. Like Type III fixtures, these light fixtures will cast light 2.75 times wider than their height but produce a more rounded distribution pattern that pushes the light outward, with little light falling behind the fixture. 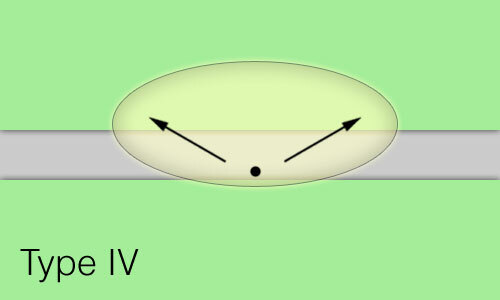 Type V Light Distribution: Type V light distribution fixtures are omnidirectional fixtures. 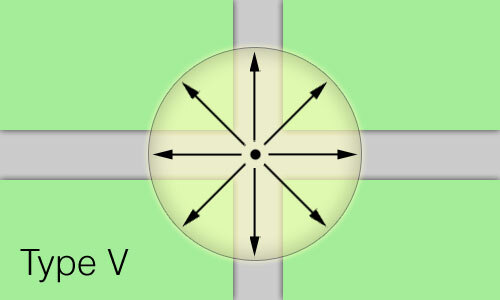 They distribute light in a uniform square or circle around the fixture. Contact us today and let us assemble a custom quote for LED area lights for your project with the distribution patterns you need.